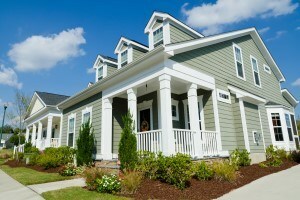 To maintain your property value, you need to keep your Pensacola home looking clean and beautiful. And when it comes to keeping the exterior of your home in that shape, you need to call the power-washing experts at SoftWasherz. With a whole-home and roof-cleaning, we'll get your Pensacola home looking its best from top to bottom. After enough years of constant exposure to the elements, your home in Pensacola will begin to look far from its best as stains and algae begin to overtake it. Luckily, when your home starts looking thusly, you can undo those unpleasant looks. To do that, just give us a call, and with a whole-home cleaning, we'll make your home look beautiful and new once more. When your roof becomes stained and discolored, it will suffer from more than just a damaged appearance. It could also suffer from leaks and a reduced lifespan. To prevent those issues from affecting your Pensacola home's roof, call SoftWasherz when it begins to look that way. With a soft wash roof cleaning, we'll get your roof back in the best shape. If you are looking for a professional power washing company in the Pensacola, FL area, please call 251-263-5057 complete our online request form.